Pineapple quilts are among the most prized quilts to own. They are relatively rare, perhaps because until now they were relatively difficult to make. Learn this NEW technique using Marti Michell Pineapple rules make it easy to accurately cut actual size pieces. Is it a quilt or a pillow? It?s both! Great for a road trip, grandkids & more! 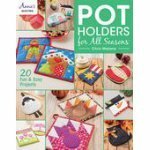 Join us as we make a new pot holder each month, each highlighting different quilt techniques such as applique', paper piecing & more. This is a weeklong event, Mon.-Saturday. Register for the whole week to save. Farm Girl Vintage 12 Month BOM We are offering this great program as a 12 month Block of the Month using a collection of 30?s fabrics & 12 of the most popular blocks (you get to choose the last 2 blocks). 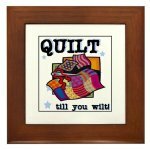 Quilt to You Wilt- pm 9 hours of continuous quilting! Demos, Show & Tell,- A different theme each month. A light breakfast, snacks & lunch will be provided. This is too cute for words. Sometimes you just have to make something that is fun & this is it! 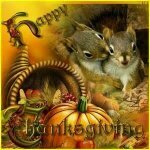 Squirrels Unite to celebrate the season with a fun, fast paced gift exchange and potluck lunch. Please call to schedule! Check back often to see more class offerings. Don't see a class you want? Contact us to see about adding it to our schedule! Miss a class and want it offered again? Ask us about a second offering for you and your friends!​ Six participants required to hold a class. Cancellation policy - No refunds if cancelled within 7 days of scheduled class. Sign up for our newsletter to learn about upcoming classes and events! 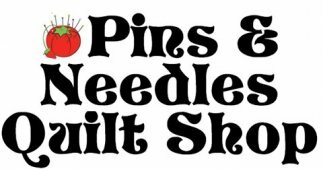 Any class/workshop supplies that need to be purchased should be purchased from Pins & Needles Quilt Shop in order for us to cover the costs associated with offering this class/workshop to you. Class registration fees must be paid in full at the time of registration. A class supply list should be given at the time of registration. It is the customer’s responsibility to request this supply list prior to the workshop date if one is not received. Due to copy-write laws any student attending a class must have their own copy of the required book/pattern/magazine for that class/workshop. This will be listed on your supply lists. Class Cancellations must be made in person or by phone and may not be done via e-mail. You may cancel your workshop registration up to 7 days prior to the workshop date to receive store credit only (no exceptions) for the full amount that you paid for the registration fee. If you can’t attend the class/workshop and did not cancel before the 7 day cut-off, you are welcome to send a friend to attend the class/workshop in your place (please notify us in advance if you are going to do this). The store return policy applies to any and all supplies purchased for the class/workshop. No cash refunds will be given, exchange or store credit only. Cruises, retreats or trips may be subject to a longer cancellation policy & details for each are posted in event descriptions. Pins & Needles Quilt Shop reserves the right to cancel any class/workshop that does not meet a required minimum number of participants. If we cancel a class/workshop for any reason, a full-refund will be given on the workshop fee only. In the case of inclement weather, students should call the shop 30 - 60 minutes before the start of workshop to see if workshop has been postponed. We will also post this on our Facebook page. Workshops postponed due to weather will be rescheduled. No refunds or store credits will be issued. Students are encouraged to arrive 15 minutes prior to the start of the class/workshop to set up their machines, etc. and they should come prepared for the class/workshop, making sure her/his machine is in good working condition, having thoroughly read through the supply list to ensure they have all necessary supplies. Please complete any/all pre or post class homework to ensure the instructor can keep the class on track. If you have any questions or need assistance please contact the shop via visit, email or phone call. We are here to make sure everyone has a pleasurable & educational class. Students should refrain from wearing strong perfume as a courtesy to those who are sensitive to perfume. Cell phones should be silenced or set on vibrate - if you need to use your cell phone, please leave the classroom to do so. Plan your next get-together at Pins & Needles! We will work with you to create a custom theme and activity based on your interests, ages, and size of group. Imagine a birthday party where you have fun, get a complete sewing machine lesson, and create your own special keepsake item to take home (designed by the host)! No two parties are the same - yours will be unique! Typically, we reserve the studio for you for 3 hours total, with a 1.5-2 hour guided lesson and project and then a half-hour available for cake and refreshments or other activities. The optimal size for a party is 10 participants, but it is possible to include a few more. The basic party package price is $350 (plus $15 for each attendee in excess of 10), and includes an initial design consultation meeting, all materials, instruction, and use of the shop.